September was a productive month for us: the Diatom Enterprises team participated in the PropTech 2018 Conference, which took place in Riga on the 27th and 28th of September. PropTech Riga is an annual conference within the framework of the international forum that gathers professionals in Riga to discuss technologies that are shaping the future of the real estate industry. On the second day of the conference, our Sales and Mobilization Director, Alekseys Beloglazovs gave a speech on the topic “How early real estate and property management solutions are evolving” and spoke about Diatom’s software development projects for the US market, showing how systems built in the early years of the century are doing nowadays. It was an exciting event not only for the Diatom Enterprises team, but also for our executive intern robot Pepper. 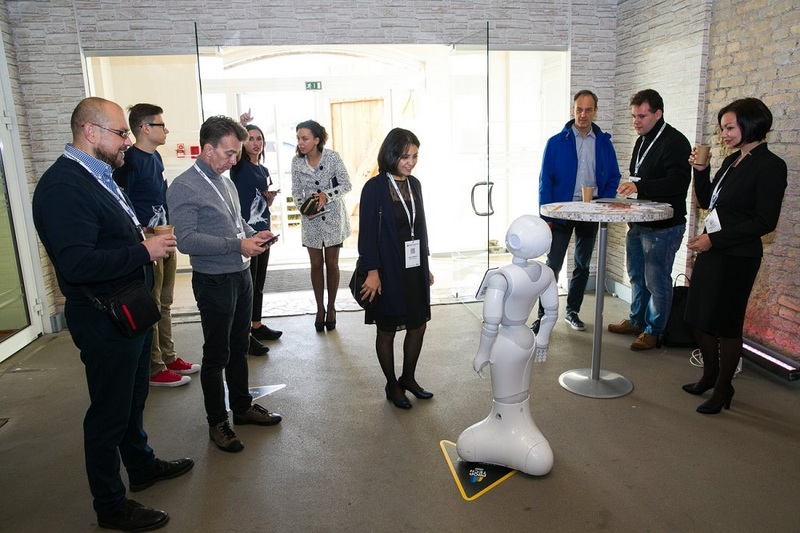 This was Pepper’s first time at the PropTech Riga Conference, but she communicated to participants and visitors very professionally, demonstrating the PropTech application and serving as a robotic guide at the conference. As a PropTech Riga organizer, the Latvian Real Estate Association (LANIDA) also hosted a contest for startup companies. On September 27th, the contestants were given three minutes to talk about their startup ideas on stage and answer questions from event participants and visitors. On the second day the winner was announced. We’d like to congratulate the winner with the best startup idea, Giraffe 360, launched by real estate company Latio! It is never too late to contact us! PropTech 2018 was a great opportunity for us to talk about our web, desktop, mobile applications and software development solutions for the real estate industry. The conference is over, but you can still contact us if you want to digitize your business.